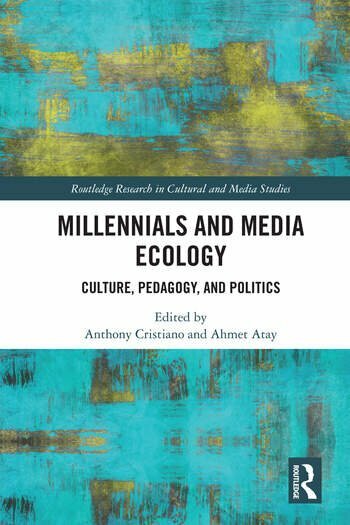 Millennials and Media Ecology explores issues pertaining to millennials and digital media ecology and studies the cultural, pedagogical, and political environments such heterogeneous generation populates. The book questions whether millennials are properly understood as a heterogeneous group, particularly by the institutions and agencies that target them, and whether they are demonstrating the ability to set out a path for themselves and take charge of their own life and future. Discuss the cultural and political implications of millennials’ new media trends, the changing relationship between millennials and legacy media, which rely on the younger generation for survival;Offer new insights into the significance of current media trends in relation to issue of credibility and identity. This is an essential book for scholars in the fields of Media and Communications and Popular Culture, and will be vital reading for postgraduate students and specialists in related fields. Anthony Cristiano lectures in culture and media studies at Wilfrid Laurier University in the Digital Media, Culture, and Communication Studies programs. His research pertains to media practices and ethics. He is the author of The Question of Ethics: from print media to social media (2017), and the forthcoming "AI and Ultimate Reality" article (University of Toronto Press). Ahmet Atay is Associate Professor of Communication at the College of Wooster. His research revolves around media and cultural studies, and critical intercultural communication. He is the author of Globalization’s Impact on Identity Formation: Queer Diasporic Males in Cyberspace (2015) and the co-editor of 7 books. His scholarship appeared in number of journals and edited books.